Spend less – We love saving money. We can’t get enough of it. Whether it’s cutting out coupons, hunting out the best discount brands or switching utility suppliers, we just love to find ways to cut down our costs. Luckily for our readers, we love to share everything we know about cutting costs. Make more – Living on a budget means every extra bit of money coming in helps. Earning money in your spare time, turning your hobby into a business or getting a job as a part-time scarecrow (yes really!) are all potential ways you can boost your income. We’re constantly looking for ways to help our readers get extra cash. Live well – You shouldn’t have to sacrifice your happiness just because money is tight. With a bit of imagination, creativity and help you can thrive when you’re living on a budget. We know the way and we’ll share it with you. 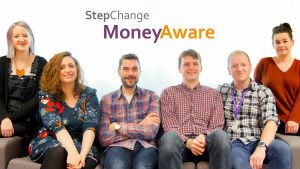 MoneyAware is part of StepChange Debt Charity, the UK’s leading debt advice charity. We help hundreds of thousands of people to deal with their debts. The MoneyAware blog was established in 2010 as a place to share money-saving tips, budgeting help and the latest debt news. 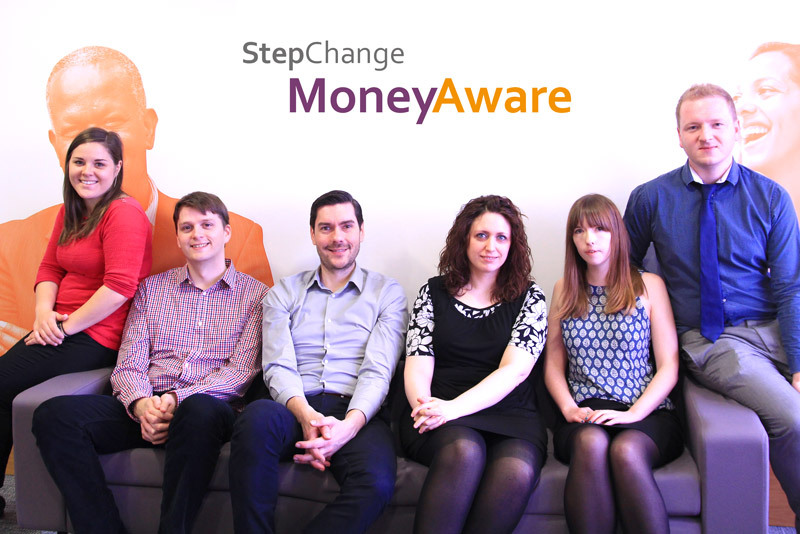 Rory, James, Rachel, Jenny, Charley and Peer form the StepChange Debt Charity Digital Content team. With years of experience in debt advice, social media and writing reet good stuff, we’re here to help you understand the minefield of consumer credit and what you can do to avoid debt problems. Rory Marshall joined the MoneyAware team in 2014 after working as a Debt Advisor and Helpline Advisor for the charity. His is passion is digital media, photography and video production. Rory has visited nearly all of all the countries in the EU and aims to eventually visit them all. James Winterbottom has been a debt advisor for many years. Away from work he is an amateur app developer and writes fiction. James is a lifelong supporter of Huddersfield Town football club, which suggests he is either very loyal or very daft. He also likes to talk about himself in the third person in bio pages. Rachel Connor has been with the charity for almost ten years, starting in Helpline before joining the MoneyAware team in 2012. Rach enjoys travelling, video games and creative writing in her spare time. She had a previous life as head writer on Cartoon Network’s Ed Edd n Eddy. She’s also written comics for Regular Show, Adventure Time and Luna the Vampire. Peer Lawther leads the StepChange Debt Charity digital content team after working in online marketing for museums, video game companies and more. He’s walked to the top of every mountain and hill in the Lake District. Twice. Charley Wicks joined MoneyAware in 2017, leaving her advertising agency life behind. She plays around with social media for StepChange Debt Charity and loves creating a gif. She has two cats, several cardigans, and cross stitches on weekends. Just call her Granny Wicks! Jenny Simpson also joined the team in 2017. Jenny has been working in digital content for longer than she cares to remember. She lives in the countryside, where most nights she can be found dancing in her kitchen disco. Her last attempt at writing fiction was the (semi-autobiographical) story of a woman who accidentally time-travelled to the 1960s. Please exercise caution when posting comments and consider whether it crosses any moral or legal boundaries before pressing ‘submit’. We reserve the right to edit or remove any comment(s) that violates our social media guidelines or that we otherwise determine is not appropriate, for example, defamatory, obscene, or proprietary (whether relating to StepChange Debt Charity or a third-party).